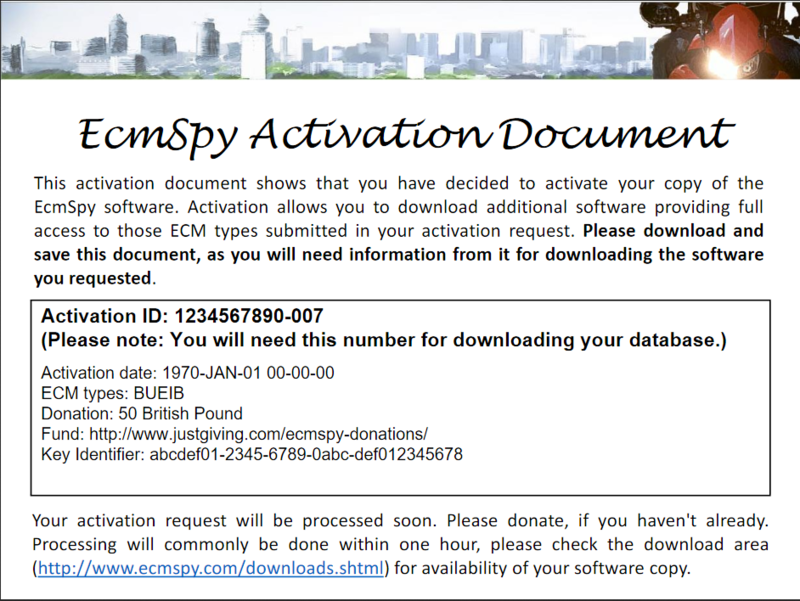 With the new data protection regulations the activation process for EcmSpy databases has changed. No registered e-mail or password will be required to download the setup program for installing the activated databases. 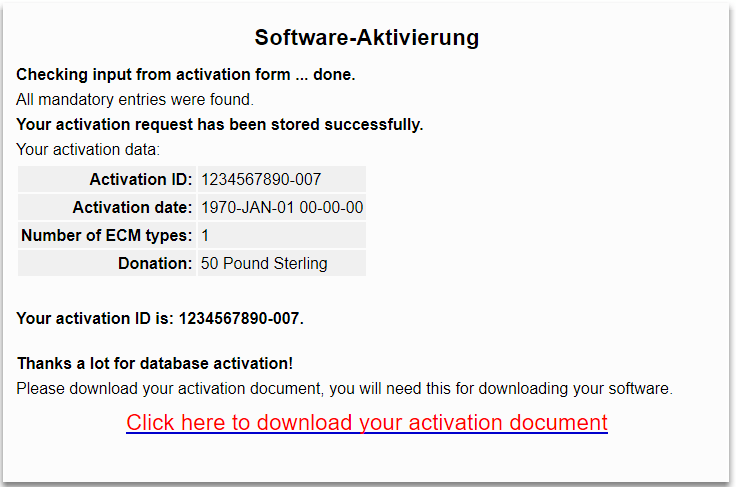 An activation ID will instead be used to find the right file, fitting your ECM and public key. Please store your activation document in a safe place. Once the activation ID is lost, there will be no way to retrieve the database installer, and you will have to activate again. The numbers shown in parentheses are the activation ID. Use these numbers to retrieve your database installer from the "Downloads" page.